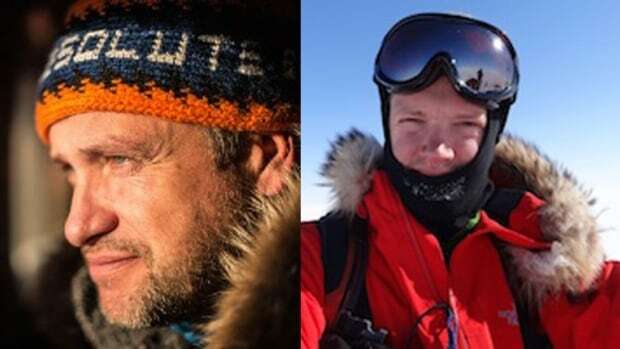 RCMP officers in Resolute Bay, Nunavut report that two Dutch explorers; Marc Cornelissen and Philip de Roo are missing and presumed drowned. The experienced polar researchers and explorers were on a two-month study of the sea ice conditions in the Arctic for an organization called Cold Facts. Marc Cornelissen and Philip de Roo went missing close to Bathurst Island the end of a two-month scientific study of sea ice conditions. Coldfacts.org image. The pair were exploring and conducting sea ice research when a distress signal was set off near Bathurst Island and a chartered aircraft flew to the signal point. Equipment was spotted on the ice surface but no trace of the men who had been on skis. Subsequent searchers found a dog and sled next to a large hole in the ice and another sled in the water. Other personal expedition items were also in the water. Throughout their trek, the scientists was regularly updating a website set up for the expedition. Tuesday’s post stated that due to extremely warm temperatures the ice was thin where they were heading. A final voice recording posted online Tuesday by Cornelissen said: “Today was a good day.” describing the weather as surprisingly warm, “too warm actually,” saying that he ended up skiing in only his underwear and boots. 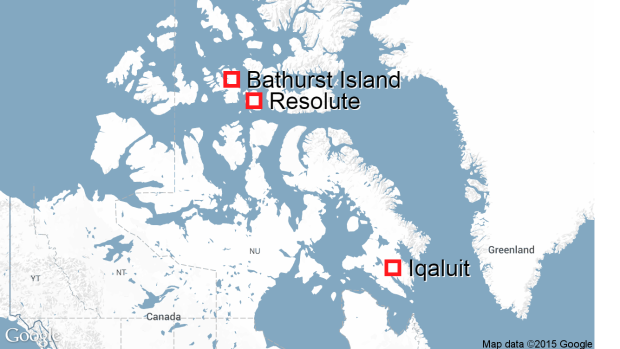 The missing researchers disappeared near Bathurst Island, 200 kilometres north of Resolute, Nunavut, itself about 1,500 kilometres north of Iqaluit and nearly 2,000 kilometres north of Churchill, MB. CBC Image. Due to the global warming, extensive research surrounding Arctic sea ice has been on the rise. The researchers may have fallen victim to the very phenomena and reason for which they had traveled to the Arctic. Global warming has affected reduced sea ice, weather patterns as well as concern for the iconic symbol of the north itself the polar bear!